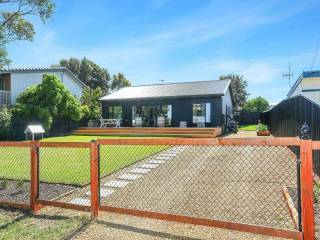 A gorgeous holiday home for families who love fresh sea air, swimming, beach walks and all that Goolwa, the Lakes and Coorong have to offer. 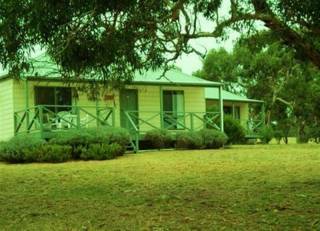 Just an hour from Adelaide and a 3-minute walk to Goolwa Beach, BEACHWOOD sits in one of Goolwa Beach's most desired locations: a quiet street overlooking the sand dunes that separate it from the sea. This spacious home can sleep up to eight in two queen bedrooms (one with en suite bathroom) and a children's room with bunks. While the expansive living area can let the whole family settle in comfort, there is a separate children's den opposite the bunk room. 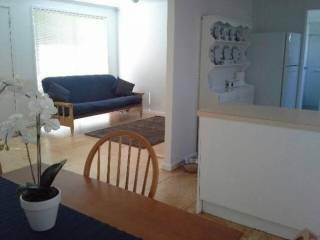 The property has reverse cycle air-conditioner and a dishwasher. A circular driveway provides easy access for those with a boat in tow. 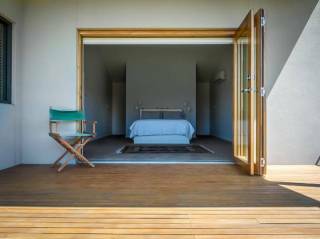 BEACHWOOD's owners have worked hard to create a home-away-from-home experience that will leave you satisfied, relaxed and keen for another any-season holiday. 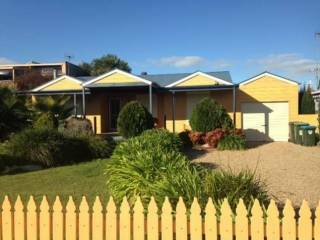 PetLet is dedicated to providing quality, clean, comfortable, contemporary pet friendly properties so humans and their fur kids can enjoy wonderful holidays on the Fleurieu. Your dogs and cats are welcome inside *(but not on the beds or furniture please, unless you bring your own blankets for protection). The backyard has a fully fenced, grassed area. Located just steps from the sand dunes and the beach, Beachwood is the perfect property for your beach loving dogs.